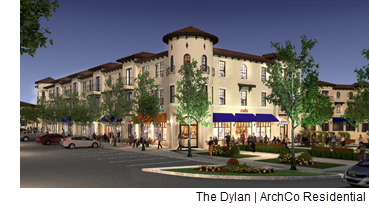 ​​ FORT WORTH – The Dylan​, a 227-unit multifamily community, is underway by Irving-based Realty Capital Management and Atlanta-based ArchCo Residential. The Class A property, located at 7500 Summer Creek Dr., will include 12,212 sf of ground-floor commercial space. Residential amenities will include a pool and a fitness center. The Dylan is currently slated for a January 2020 completion. ​Check ​out Dallas-Fort Worth-Arlington Multifamily Market Research​.